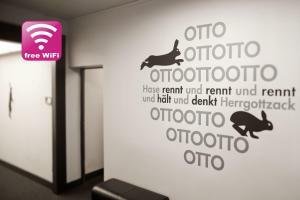 Holiday apartment 254470 LUX BERLIN APARTMENTS are 2 design boutique apartments right on the Oderberger Strasse, one of the best-loved streets in Berlin. 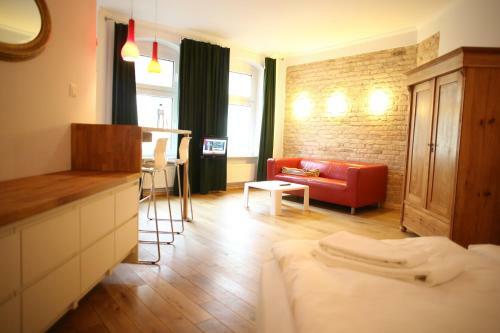 Holiday apartment 255496 Our 4 apartments are located in the trendy Prenzlauer Berg district in one of the trendiest areas of Berlin: around the chestnut avenue. 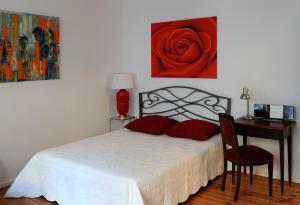 Our apartments are ideal for party-goers and individualists: pleasant, quiet, bright, tastefully decorated. Holiday apartment 269060 Beautiful two-room apartment with a double water-bed and a sofa-bed for up to max. 4 people. It is 75 m2 (807 sqft) and occupies a calm perch on the 4th floor (reachable by elevator). 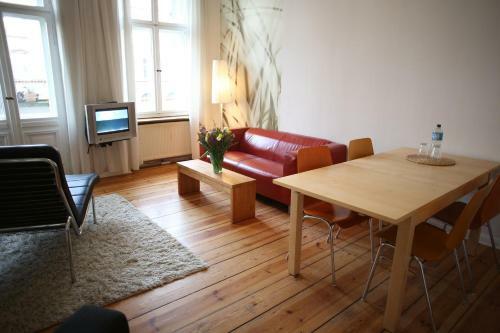 Holiday apartment 275373 This is how we would describe our apartment in a few words:Inside: minimalist zen feelOutside: trendy locationOur apartment Schwedter Deluxe is located in the central and beautiful Mitte area. 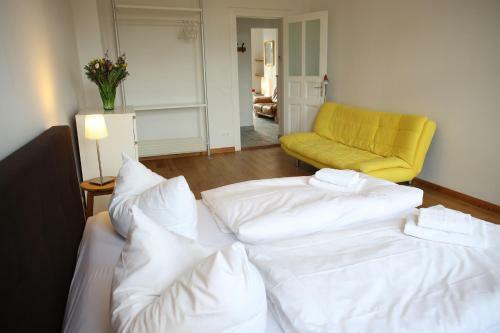 Holiday apartment 275399 This is how we would describe our apartment in a few words:Inside: warm and welcomingOutside: Berlin with your friendsOur apartment Oderberger Stil II is located in the central and beautiful Prenzlauer Berg area. 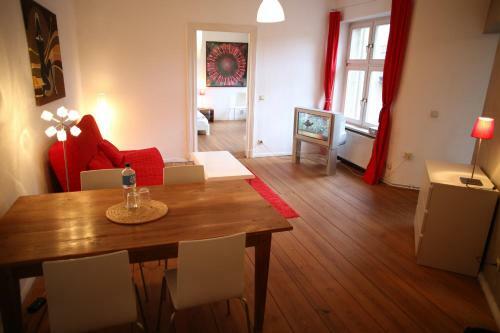 Holiday apartment 275643 A bright penthouse in the middle of the most popular Prenzlauerberg district, full of colours, shops, restaurants, galleries, where the atmosphere is a mixture of art and history. Holiday apartment 275717 This is how we would describe our apartment in a few words:Inside: designer styleOutside: Mauerpark marketOur apartment Mauer Modern is located in the central and beautiful Prenzlauer Berg area. 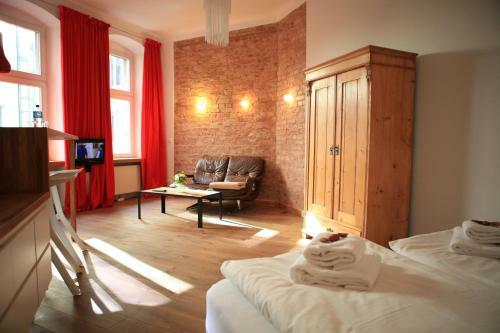 Holiday apartment 276807 This Berlinvacation apartment rental in Prenzlauer Berg is located on the third floor of a complex built in 1898. Please note, this complex does not have an elevator. 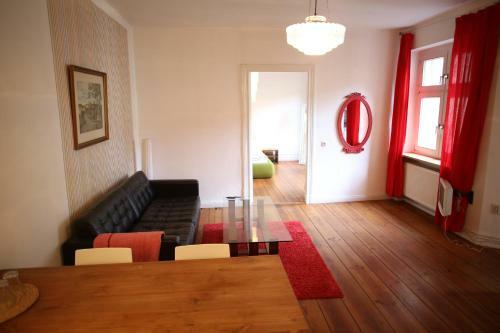 This well lit and charming Berlin rental was modernised in September 2008. Restaurant Villa Rodizio, Berlin Guest reviews: 8,6/10 ~ 0,7 km from Brilliant Apartments Address: Milastrasse 2, 10437, Berlin. Cuisine: Barbecue. 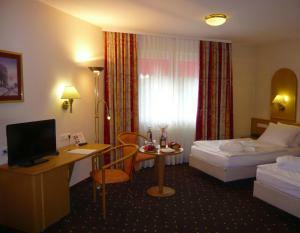 Restaurant Sucre et Sel, Berlin Guest reviews: 9/10 ~ 1,2 km from Brilliant Apartments Address: Torstrasse 132, 10119, Berlin. Cuisine: French. 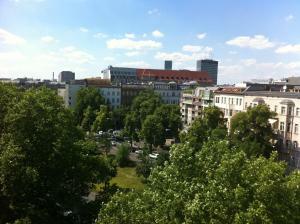 Restaurant Cuore Di Vetro, Berlin Guest reviews: 9,8/10 ~ 1,5 km from Brilliant Apartments Address: Max-Beerstr. 33, 10119, Berlin. Cuisine: Italian. Restaurant Madami - Mom's Vietnamese Kitchen, Berlin Guest reviews: 9,6/10 ~ 1,9 km from Brilliant Apartments Address: Rosa-Luxemburg-Str.3, 10178, Berlin. Cuisine: Asian. Restaurant Lorenz Adlon, Berlin Guest reviews: 9,4/10 ~ 3,1 km from Brilliant Apartments Address: Unter den Linden 77 (Hotel Adlon Kempinski), 10117, Berlin.